We have dorms until 10 beds tottally equipped, new bathrooms, bed linen included and individual lockers. We offer free Wi-fi and breakfast wihout extra cost. In the leisure room has: Plasma TV, air conditioning, video game and music system for your moments of fun. 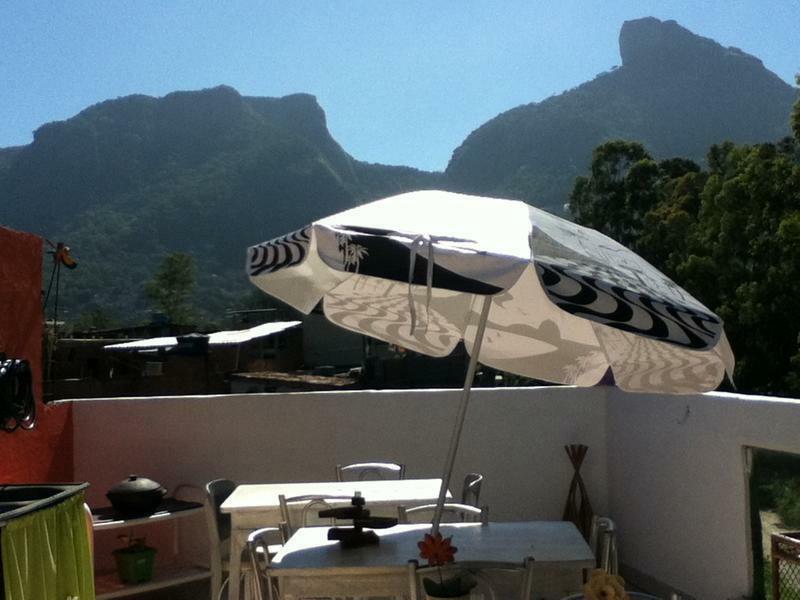 Moreover, in our terrace surrounded vegetation can enjoy the most unique sunsets in Rio and also the best visual of Gávea Stone, all accompanied by a caipirinha, good music and the best vibes. Feel Rio de Janeiro from inside!, mingle with the people, share experiences, take them out for a dance. Going on the street “Estrada da Barra” turn left at the third street after the Golf Club 'Itanhangá' (Rua da Amendoeira) at the corner of restaurant 'Tijuquinha' and follow to the end.